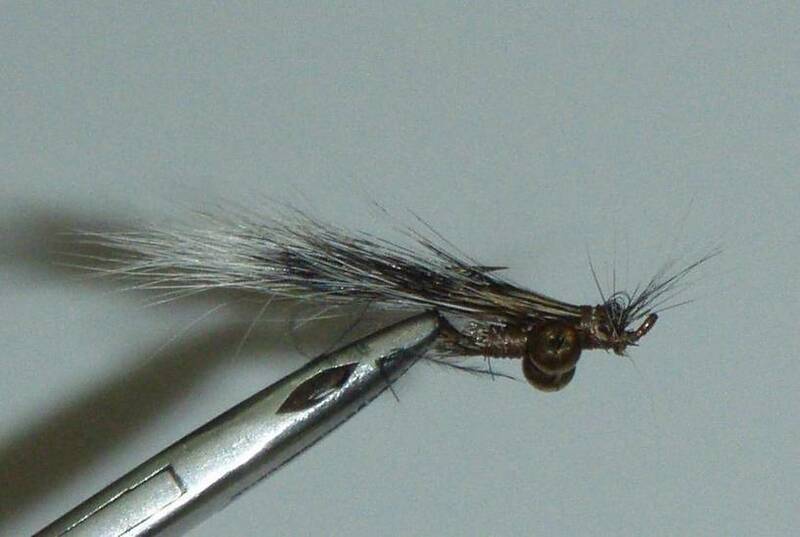 Discussion: If you’ve ever used squirrel hair for a fly you know how slippery this material is. It has great action in the water on small flies but keeping it on the hook can prove to be a challenge that most prefer not to tackle. 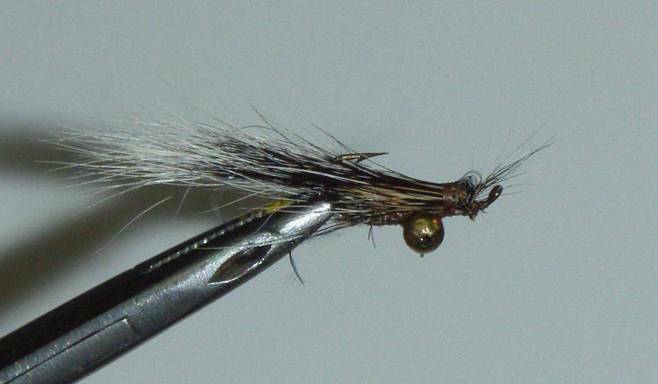 This small fly has worked well for me in the early part of the year, January through March, when the fish don’t like to move much, but a small minnow imitator is just irresistible. Through this out on a 3-5 wt rod and work it slowly. I’ve been known to use it from my “belly-boat” for that “next to no movement” retrieve. Later in the year, fish it as you would any minnow patter, retrieving it through all the weeds and slop in those little holes in the weeds. It sinks well, na dhas a great action. In Toledo Bend, I’ve limited out on crappie doing a slow troll behind a belly boat. Flip it out, retrieve slowly for 10 feet, move 5 feet down the shoreline and repeat until fish are found. This is my winter “go-to” fly. 1. The hook in the vice. 3. Turn the hook point side up. 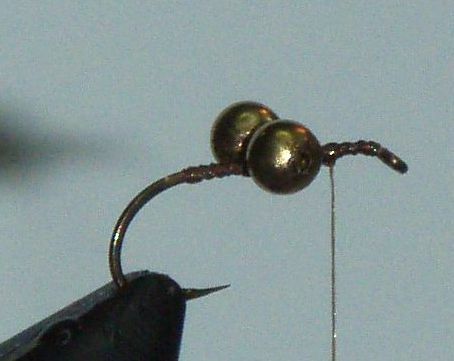 Cut a lock of squirrel tail hairs that extend 3 times the hook shaft length and lock then down at the rear of the hook behind the eyes, as shown. 4. Go ahead and clip the trimmed ends and clean up the area with thread wrap. 5. Bend the hair back and tie into place. Place a drop of CA glue on the threads, making sure not to cover the eyes of the hook. 6. Go ahead and clip these. 7. 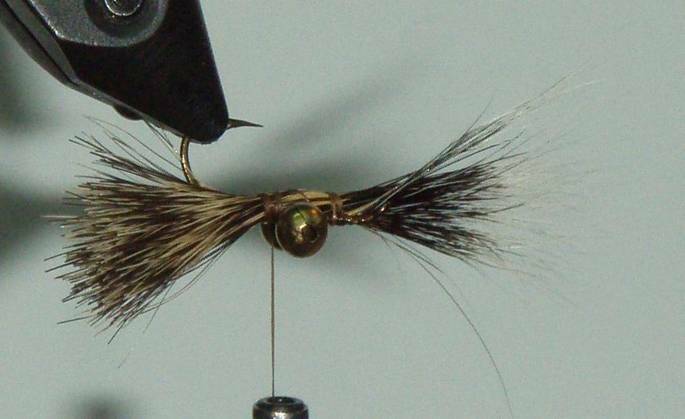 Place the next two hen hackles against the shaft and tie down. Don’t clip these. You’ll use these to palmer the shaft. Run the thread to the head and half-hitch. Now palmer the hen hackles up to the thread at the head. This will fill the body. Tie in and cut off. This is a good time for a spot of glue. Only a touch is required at this point. 8. Turn the fly over to show point up. Run the thread back to the bend of the hook and get the zonker strip ready. 9. Tie in the zonker strip at the rear and half hitch a few times. A spot of glue here is also a good idea. 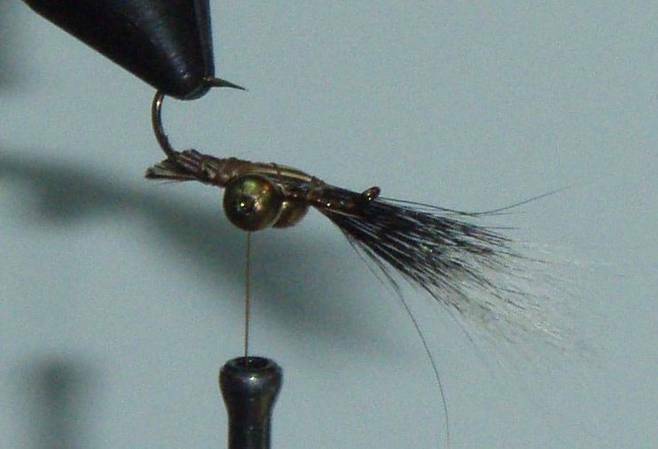 I usually turn the fly back over to touch the glue from the “bottom” Then run the thread back to the eye, taking care not to trap the palmered hackle with the thread. Now that the thread and zonker strip are in place tie both off at the eye. 10. Clip the zonker strip off and cleanly wrap the eye. Another spot of glue finishes the fly. OK, it doesn’t look like much, but throw it in front of a bass and see what happens. Even a good sized panfish will put a hurt on it.